Raise a Green Dog! 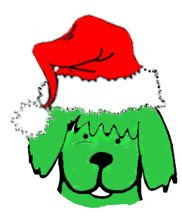 : This year, make it a green dog holiday! 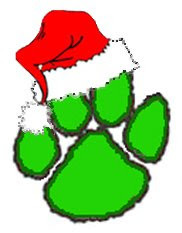 This year, make it a green dog holiday! This year is a great year to have a green dog holiday! With over 74 million dogs in the US, you know your pups are leaving their pawprint on the environment during the holidays, just like the two-leggers can. But by reducing waste, purchasing environmentally responsible pup products, utilizing environmentally safe household products and by taking other sustainable measures, you and your pup can have a healthier, happier holiday and environment at the same time! Make your pup a fabulous homemade Christmas stocking, from recycled items around your home. Wrap your 'best friend's' gifts with reused and reusable materials, like paper sacks, and cut outs from old Christmas cards. Save what's left over and use again next year! Purchase your tree from a tree farm and help save forests and unnecessary cutting, and recycle it after the holidays. Or consider getting a live tree and then plant it in your yard after use. Make your own Christmas ornaments from recycled materials, string some popcorn and berries, add a solar powered wreath to your front door, use solar holiday lights for y our outdoor decorating and purchase low energy LED lights to conserve. Send your pup pals an e-card, rather than purchasing cards. Or make your own with items and photos of your pup. Shop online and conserve energy. Donate to your local shelter or rescue group and give back this holiday season. Keep your dog from unnecessarily killing wildlife while enjoying the outdoors. Purchase gifts for your pup made with organic or recycled materials. Feed and give your pup foods and treats that have organic or all natural ingredients for a longer, healthier life. When getting ready for the holidays, use cleaning and other household products that are good for the environment and safe for you and your dog. Buy gifts made closer to home, and help lower the energy costs of shipping goods. Use environmentally friendly deicers on your drive and sidewalks - good for your pets and the environment. Buy sustainable and durable products that don't have to be replaced so often. Spend quality time with your pup teaching them tricks, like turning off the light when they leave the room, and putting items in the recycle bin. 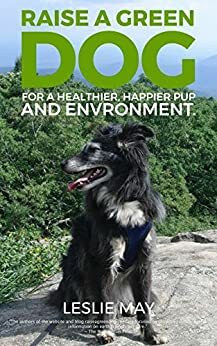 Install a Doggie Dooley and recycle that pet waste, and when on the road use biodegradable poo bags when cleaning up the doo. Buy products for your pup made out of all natural materials, like hemp dog collars and organic cotton clothing. Spend some time making some of your pups toys and goods - take an afternoon and turn those old socks or towels into a great tugging toy, or old blankets into bedding, or leftover material for a great dog bed! Cook for your pup, for a healthier dog and a healthier environment. Need some more ideas? Check out my Green Dog Christmas Squidoo lens, for featured holiday products, toys, fun stuff and more. Nice post of some great ideas! Shaklee has a line of green cleaners that are safe for the environment and animals. They are economical and work really great. The best part is they have no toxic odors like the commercial brands have. Go to www.goshaklee.info and put in the password JA32689 for more info.